Technology infiltrates every aspect of our lives. The advancement of new age equipment is revolutionizing the way we work today. Video analytics has seen a rapid growth over the last few years in terms of accessibility. Primarily used by large corporate industries and government operated systems to regulate activity and preserve security measures. Those systems required powerful servers to run and high-end infrastructure to operate. Resulting in hours of manual labor and inefficiency. Video analytics has helped achieve smoother operations reducing the workload on security and management staff. Equipped with an intelligence software, video analytics has significantly developed from its initial function to a much more improved safety and video security with faster responses and smarter initiatives. The application can detect trespassers or anyone loitering in the area and immediately notify the guard by playing a message over the loudspeaker if needed. This has freed up storage and reduced the bandwidth usage across all platforms. It provides you with various features to utilize and optimize your work. Video analytics can be used for motion detection, facial recognition, license plate reading also recognizing long waiting queues at checkout, digital auto-tracking. Additionally, you can personalize your software based on your requirements and needs. The growing prevalence of analytics offers system flexibility and can considerably reduce the cost of your overall solution. With a team of experienced solution architects, security experts and qualified technical field staff. 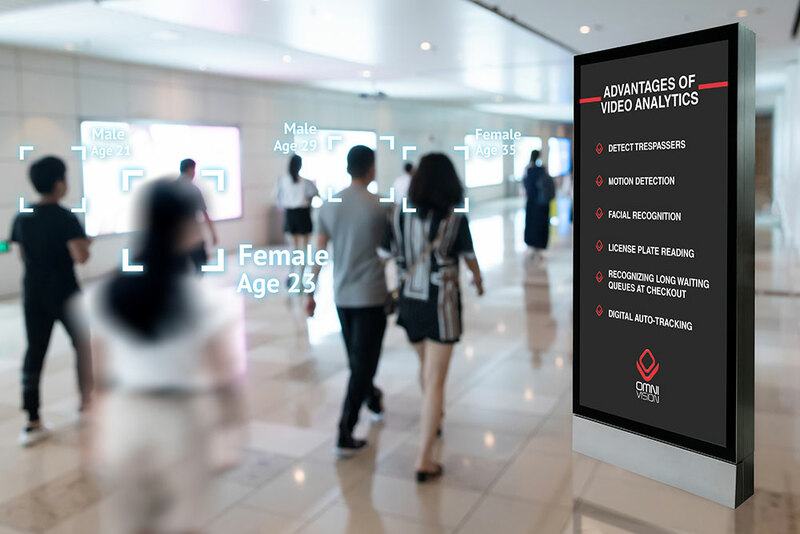 OmniVision can help you learn more about video analytics and how it could be used to maximize effectiveness for your surveillance needs.